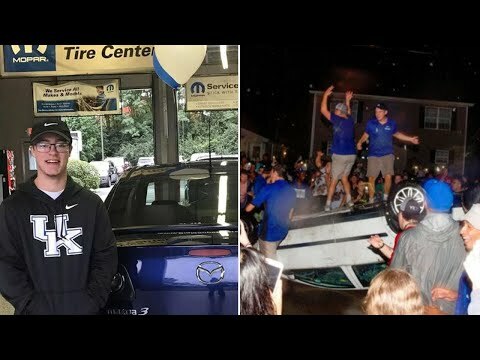 A celebration in Kentucky got out of control and ended with a teen’s car getting destroyed. All hell broke loose when the University of Kentucky football team bested the University of Florida for the first time in 31 years. Matt O’Hara was watching the football game at a friend’s house in Lexington when revelers flipped his car over. InsideEdition.com’s Mara Montalbano (https://twitter.com/MaraMontalbano) has more.